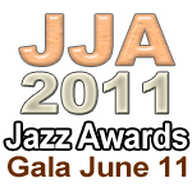 We'll be USTREAMING the 15th annual JJA JAZZ AWARDS SAT JUN 11 1-5PM EDT from City Winery in New York City,where a star-studded coterie of jazz musicians, journalists and music-world movers and shakers will be on hand as winners in the Jazz Journalists Association's 39 categories of excellence in jazz musicianship and journalism are announced. Josh Jackson of WBGO's The Checkout will host. Featured performers include: Randy Weston, Jane Bunnett and Hilario Duran, Gregory Porter and the Hammer Klavier Trio.